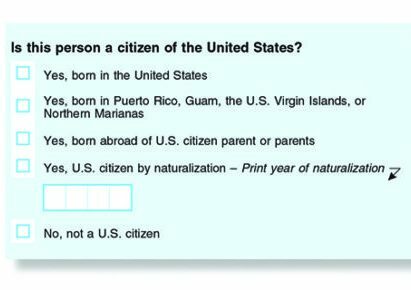 Census 2020 – A Citizenship Question? The 2020 Census is already creating controversy. Find ways to help your students understand the census, potential changes, and how past changes have impacted our history with this week’s CLP Current Event! “Testing a change to the census questionnaire can take months or years, work that flows through the Federal Interagency Council on Statistical Policy, which is co-chaired by the director of the Census Bureau and the U.S. chief statistician (a post within the Office of Management and Budget). What is the history of the census in American history? What information does a census provide? How do census numbers affect legislative districts? How do census numbers affect allocation of funds? 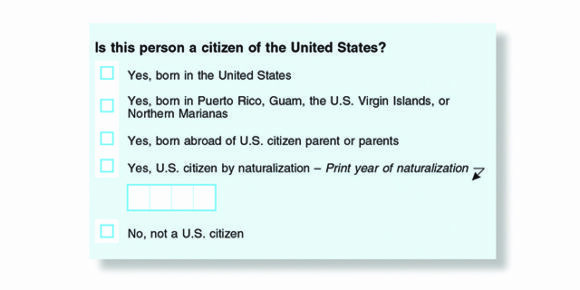 Should a citizenship question be included on the 2020 Census? Why or why not? Will a citizenship question on the Census provide better data on the voting age population to help enforce the Voting Rights Act? Why do we want to count as many people as possible? Which government agency supervises the Census? Why is privacy an important consideration in the Census? What are the risks that information will be used adversely by the government? Does a politically polarized country affect the success of the Census? How is immigration related to the Census? What is the American Community Survey? How does it update information between the decennial Censuses? Why are 12 states suing to block the Trump administration from adding a question about citizenship to the 2020 census? What did Attorney General Maura Healey of Massachusetts say about the new census question? Way are some people opposed to the new question, according to the article? What is the Trump administration’s rationale for adding the question? But census officials secretly provided the government with information from the 1940 Census that was used to target Japanese Americans during World War II. The data was used to banish 120,000 Japanese Americans into internment camps in 1941, according to former commerce secretary Norman Mineta, The Washington Post reported. CLP: This is the survey that provides up to date information between the Census count. “Oregon Attorney General Ellen Rosenblum says a move to include a question about citizenship on the 2020 census could wreak financial havoc on Oregon. 8.18 Examine and analyze important United States documents, including (butnot limited to) the Constitution, Bill of Rights, 13-15th Amendments. HS.2 Analyze the complexity and investigate causes and effects of significant events in world, U.S., and Oregon history. HS. 34 Explain the responsibilities of citizens (e.g., vote, pay taxes).